Good Nutrition is important to having thick, full, luxurious hair. What we eat, without argument, affects the growth and health of our bodies, including our hair. If hair is nourished with proper vitamins and minerals and looked after with massaging, cleansing, conditioning and regular exercise, strong and healthy hair is assured. To ensure good hair growth and replacement, the hair root needs a constant supply of oxygen and nutritional substances which it obtains from the blood. This means that a certain number of conditions regarding nutrition must be met. To combat vitamin deficiencies, add a nutritional supplement that has been especially developed to nourish the starved hair follicle from within. These natural biological agents must be supplied in a balanced ratio so that your body can absorb them without overloading or undersupplying your system. By doing so, you will revitalize your tired hair as well as your nails. Eat lots of fresh fruits and vegetables. Do not overcook your vegetables as many valuable vitamins and minerals are destroyed or lost in cooking. Eat foods rich in B vitamins: liver, wheat germ, nuts, peas, whole grains. Fortify your diet with natural Vitamin B-complex. Avoid excessive intake of animal fats and refined carbohydrates, white sugar, white flour and foods made from them. Replace animal fats and hydrogenated fats in your diet with unsaturated vegetable oils like corn oil, safflower oil, wheat germ oil, olive oil, etc. 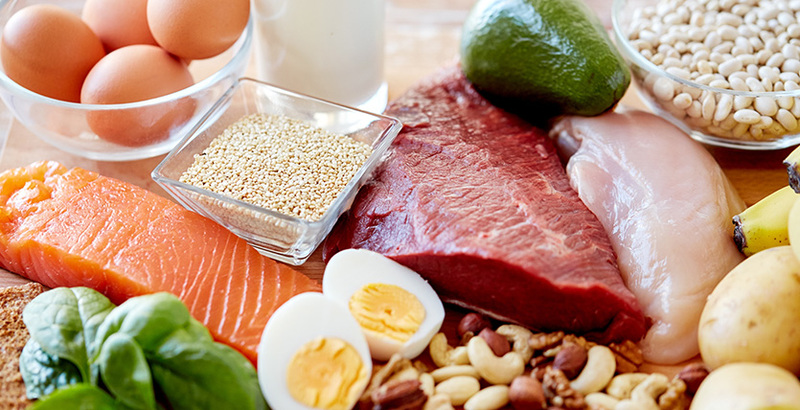 Adequate amounts of protein in the diet work to maintain and build new tissues in the body, including new hair follicles. Research has shown that people who follow a low protein diet have displayed signs of hair loss.